This exclusive smart bundle includes the Alen BreatheSmart, the complete solution for your air quality needs. With customizable colors, personalizable filters, intuitive smart sensors, quiet operation and best-in-class performance, it is the preferred choice of our customers. 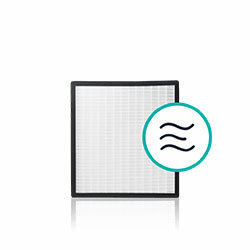 It also comes with two HEPA-FreshPlus filters, designed to remove smoke odor and ash from the air. 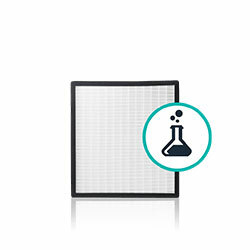 This Alen BreatheSmart includes two of Alen's unique HEPA-FreshPlus filters to reduce ash and smoke odors. 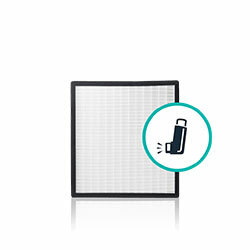 BreatheSmart is designed to effectively purify your air in large and open living rooms up to 1,100 sq ft leaving you fresh, pure air in under 2 hours. 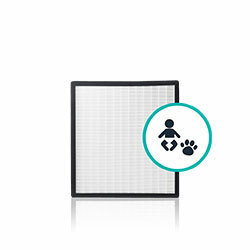 Its smaller brother, the FIT50, shares similar design styles and capabilities and effectively cover medium-sized rooms such as your family room or master bedroom up to 900 sq ft.
Alen BreatheSmart Wildfire Smoke Smart Bundle has a rating of 5.0 stars based on 3 reviews.